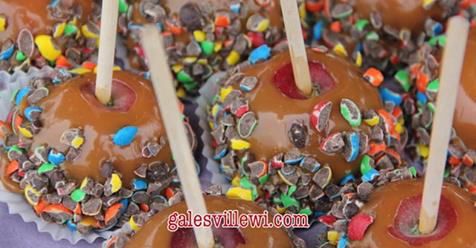 Galesville's Apple Affair is a major event in Trempealeau County. Beginning in 1983 as part of Wisconsin's effort to promote the state's apple orchards, Apple Affair draws people from throughout the region. This year our family event will be held at the Trempealeau County Fairgrounds on the first Saturday in October. Kicking off the annual event is breakfast served in the Big Tent. The scrambled egg omelet is cooked in one of the biggest skillets you will ever see! It took 1,250 eggs, 30 pounds of ham, 10 cups of onions, 9 pounds of butter, 630 squares of coffee cake, 22 gallons of apple juice, 21 loaves of bread and 1,200 cups of coffee to feed the 630 people who attended the first event. Since then, attendance numbers in the thousands. As the day continues, the aroma wafting through the fairgrounds changes to the smell of bratwurst and hot dogs cooking on outdoor grills. In another tent, Galesville's famous 10-foot apple pie tempts the taste buds as it bakes in its custom-made oven depicting the four seasons. 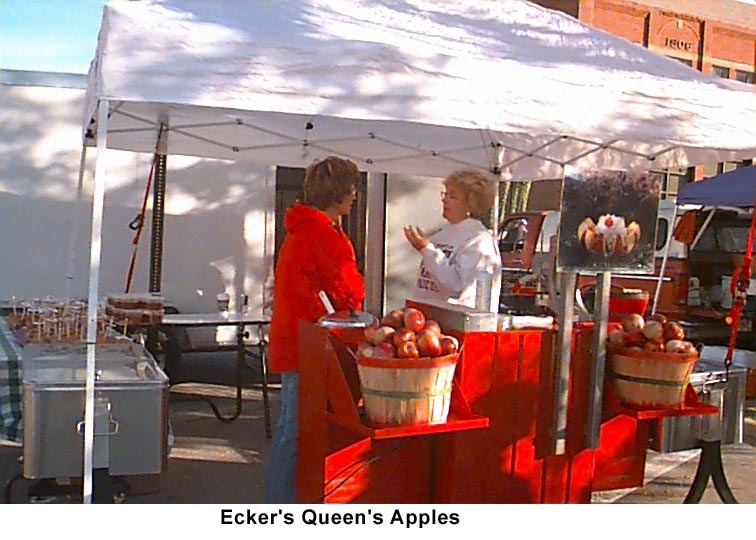 Orchards from the area set up stands where visitors can purchase apples and apple treats served by local growers. 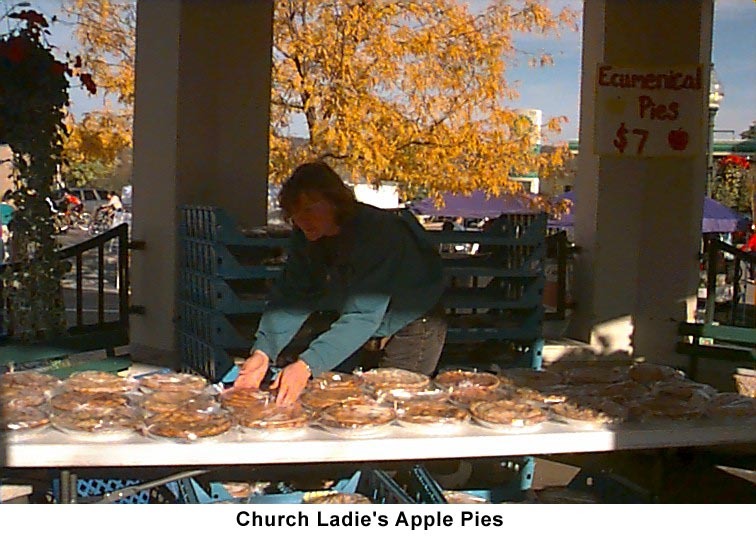 Apple pie, apple slices, caramel apples, Queen's Apple, apple cider, apple juice -- if it's apple, you will find it here. In fairground buildings across from the Big Tent, artisans and crafters attract shoppers with everything from dollhouse miniatures to crocheted doilies to braided rugs to woodworking crafts and so much more. Throughout the day, music from the big tent permeates the air. Provided by area performers, the music is enjoyed by young and old alike. 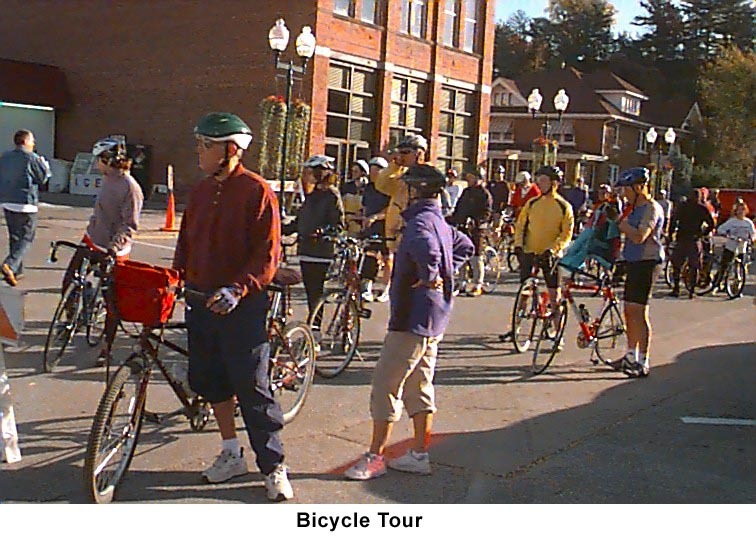 The Apple Affair Bike Tour is a popular activity for the day. Hundreds of bicyclists spend most of the day touring the Galesville apple orchards and surrounding area. The scenery of this "Garden of Eden" is spectacular and the event is a perfect family affair. The first Apple Affair attracted 42 bicyclists who rode the 28.7 mile loop from downtown Galesville through the orchards. The bike tour has grown in popularity and some years, depending on the weather, more than 200 bicyclists have participated. To find out more about this year's ride go to www.appleaffairbiketour.com. Other activities that day include open houses at A.A.Arnold House (aka East Side Farm) and at Old Main Historical & Community Arts Center, a book sale at the Library and shopping in our historic downtown district.